Recently, we held a family “talk” night where family members came prepared to give a talk or presentation on a topic of strong interest. What do you think I spoke about? Engineering, one of my favorite topics. The event was video recorded. 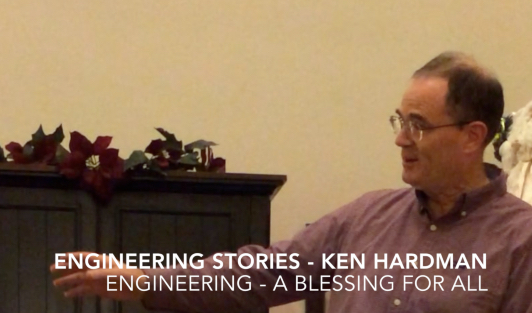 Join me while I share two quick Engineering Stories on why I enjoy engineering and why Engineering is a blessing to all. Share the video; share my Engineering Stories. This entry was posted in STEM and tagged aviation, curiosity, Design, engineering, Engineers Serve, STEM. Bookmark the permalink.